Description: Check out the fun activities on Saturday, June 16! <–new date! 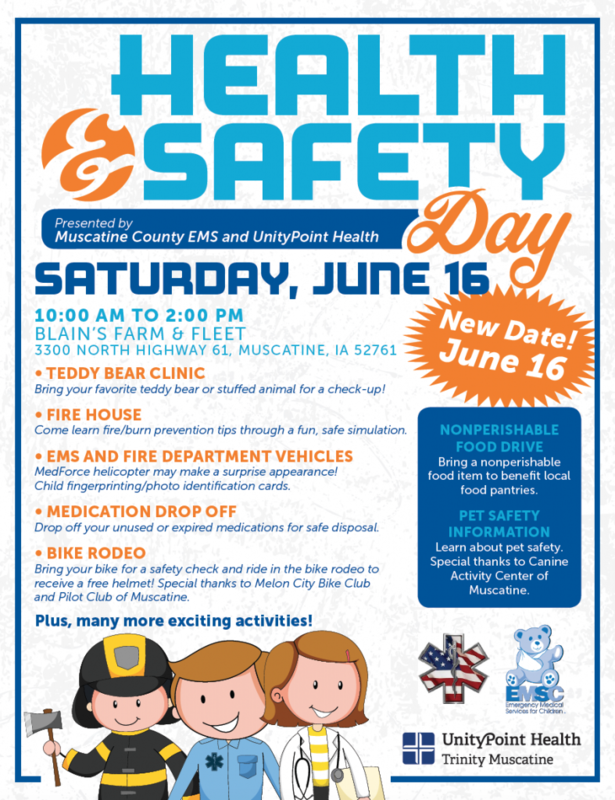 Teddy Bear Clinic, Fire House, EMS and Fire Dept Vehicles, Medication Drop Off, Bike Rodeo! Bring non-perishable food for the local food pantry!